Everyone in Brunswick, Germany had reason to be amazed when they saw looming in their home town the wackiest building ever built. The house’s exteriors are painted graffiti style and it also has an unique urban configuration. Even though the building does not conform to the usual standards, it’s ecologic, trees have been planted wherever was possible and the parking lot is filled with bicycles. The area where the building is placed is a quiet one. The young population was the most responsive to the new urban landscape, tourists had reason to take pictures, but the older people definitely whined. As years passed the building became a tourist attraction and several entrepreneurs are trying to replicate the project in the center of the city. 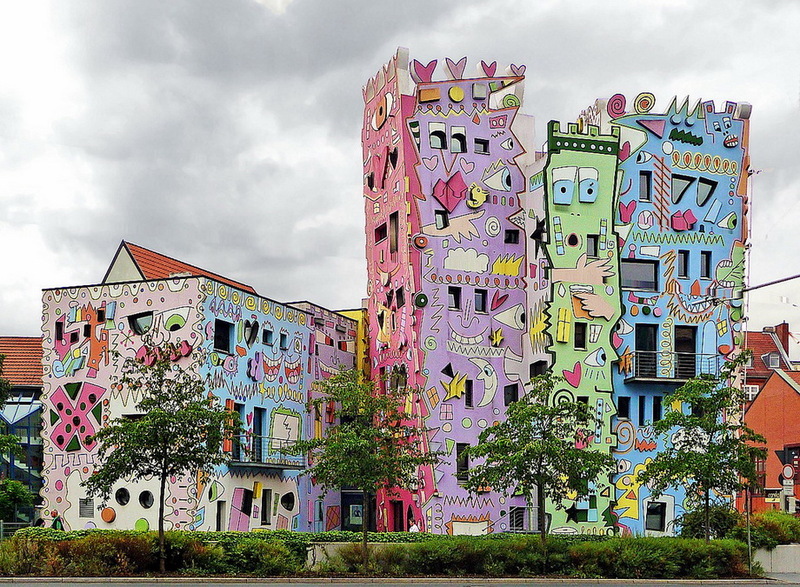 Happy Rizzi House, was so named in honor of artist James Rizzi, who painted the house in this unusual cartoony way. It all started in 2001 on the site of a ruined ducal residence, a decision was taken to build something unusual and save the old buildings. The house is positively beautiful and a joy to be seen by kids. Even thought it might seem like naive art, the architect Konrad Kloster worked several months to draft the project and making it happen took two more years. No one actually lived in the building, it was used as an office space, but the happiness of the employees who worked there is easy to imagine. It seems that the house is empty at the moment and new uses for it are being contemplated. 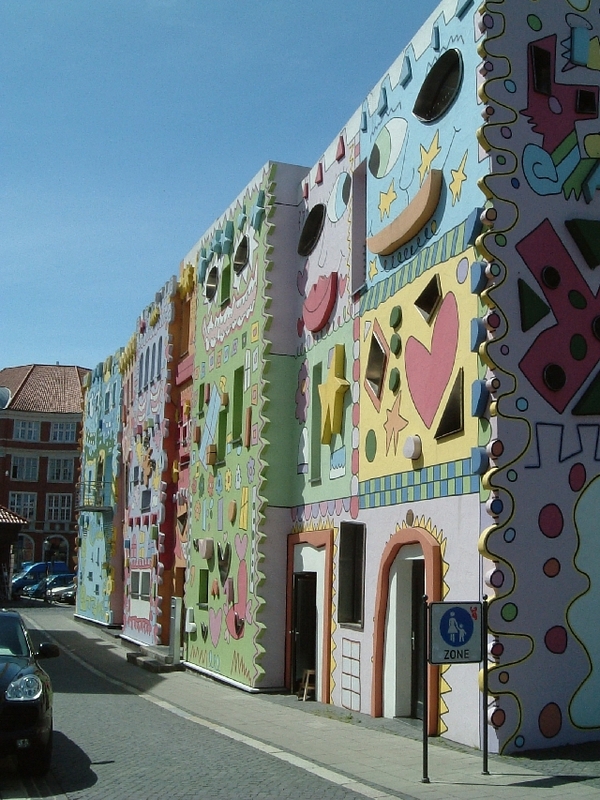 Talks of using it as a Rizzi museum or a restaurant were rumored in the city council.